You’ve seen them outside of Publix, Winn Dixie, or Walmart. 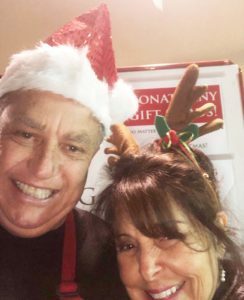 Wearing red aprons, standing by a Salvation Army kettle, and ringing a bell to call attention to those in need in our community. 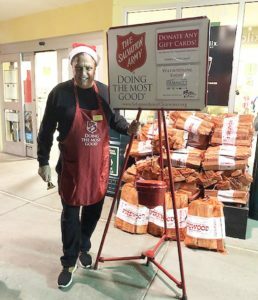 They’re the bell ringers, volunteers who give their time and energy to help the Salvation Army secure the funds they need for their community service programs. The Salvation Army uses funds collected during their annual bell ringing donation drive to fun programs like housing assistance, food shelves, and emergency disaster services. 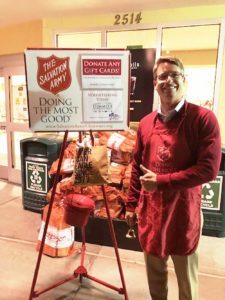 To raise the funds, the Salvation Army relies on volunteers to stand at the entrance of popular grocery stores and watch over kettles where the public can leave their donations. Bell ringers sign up for shifts of two hours or longer and commit to ringing the familiar bell and greeting the public. This year, like several years in the past, Dimmitt Insurance participated and took shifts ringing the bell. It was beautiful to see an active community donating and leaving us with a full kettle at night! Several parents helped their kids learn how to donate, teaching a new generation to be an asset to their community. Thank you to everyone who came out and rang the bell, and thank you to the generous donators who help keep our community strong and vibrant!